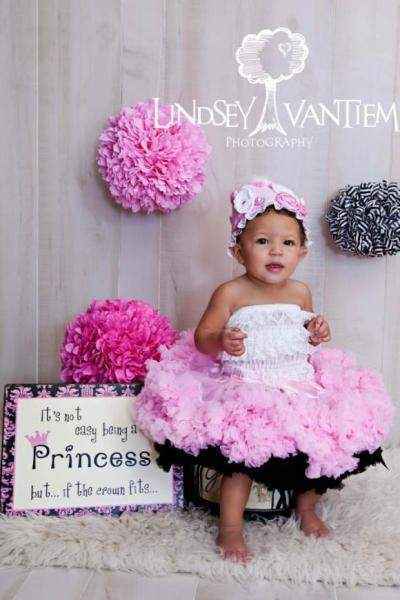 This pink pettiskirt makes a beautiful professional girls photo prop! 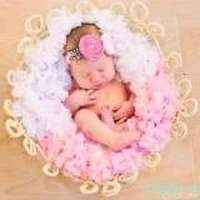 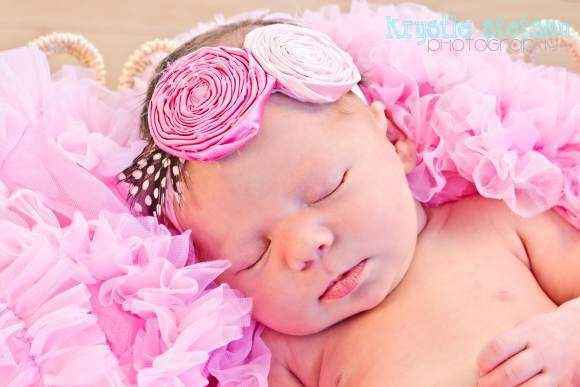 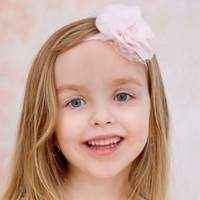 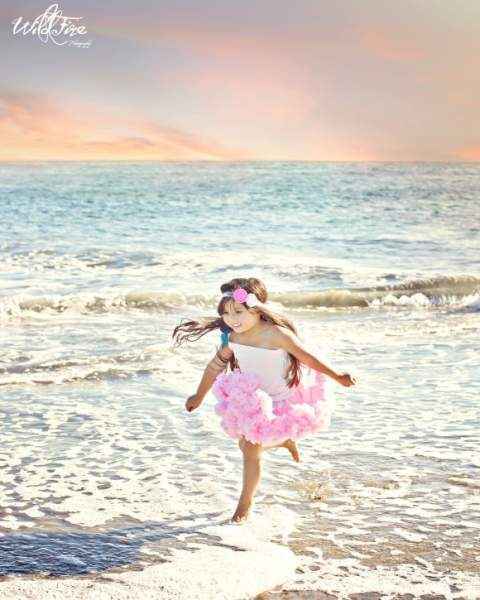 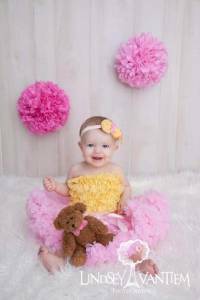 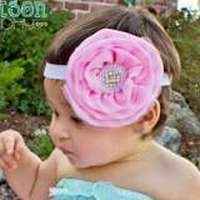 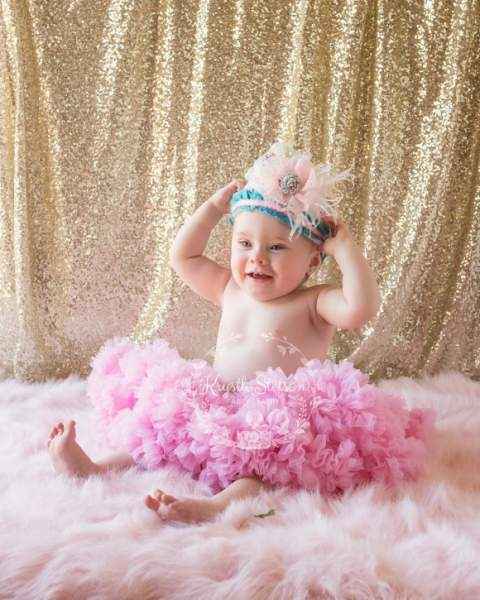 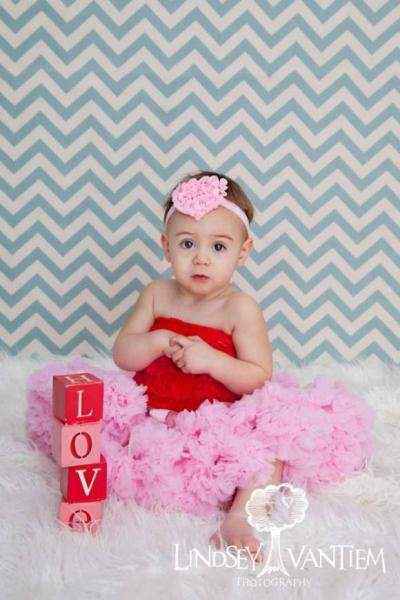 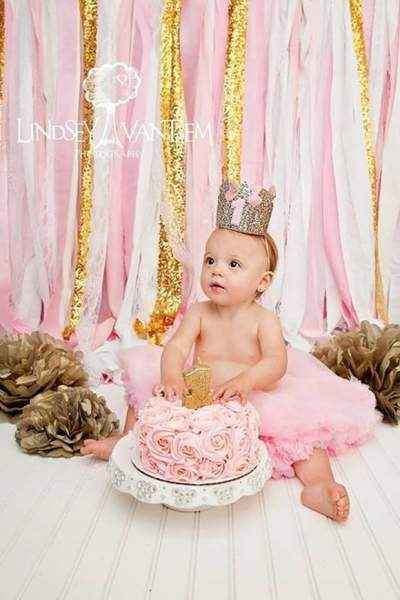 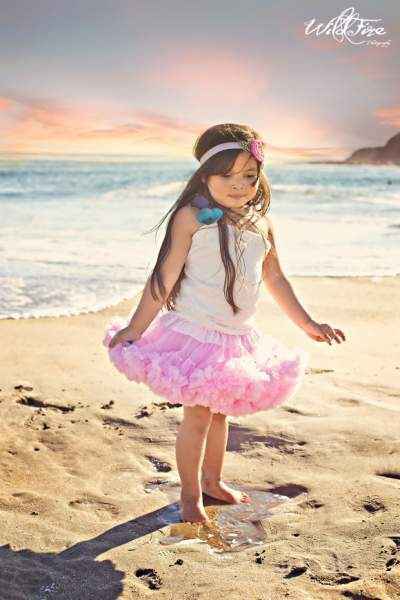 This pink boutique pettiskirt also makes a cute baby gift or birthday gift. 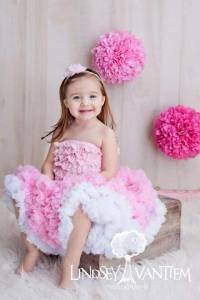 This pink pettiskirt features satin and yards and yards of soft chiffon with layers of fluffy ruffles. 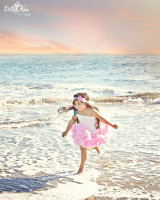 This pink boutique pettiskirt features an elastic waistband and attached pink bow at the waist. 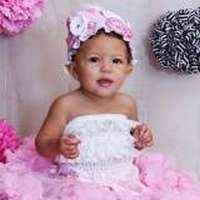 She can wear the bow on this pink pettiskirt, in the front or in the back. 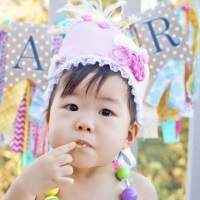 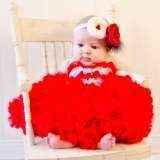 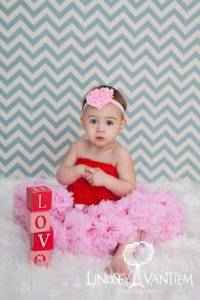 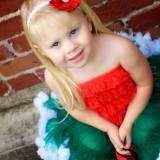 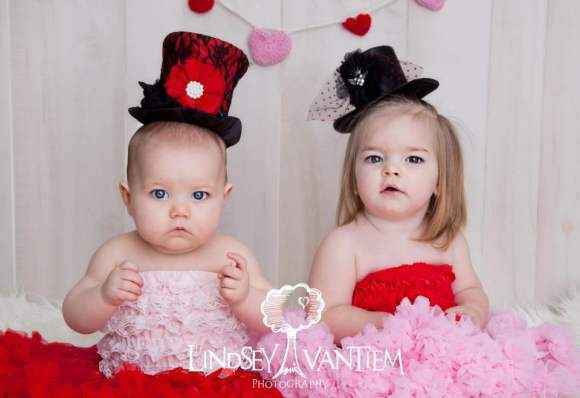 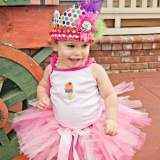 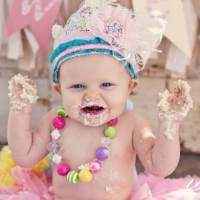 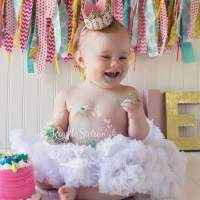 The five petti rompers, two crowns, black pettiskirt, white pettiskirt, red pettiskirt, and five headbands in the photos are available in the "You might also like" section. 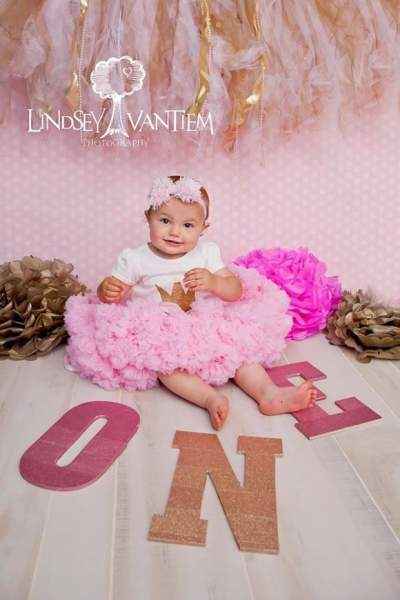 The piece of tulle lying on top of the skirt in the photo with the silver "1" crown does not come with the skirt. 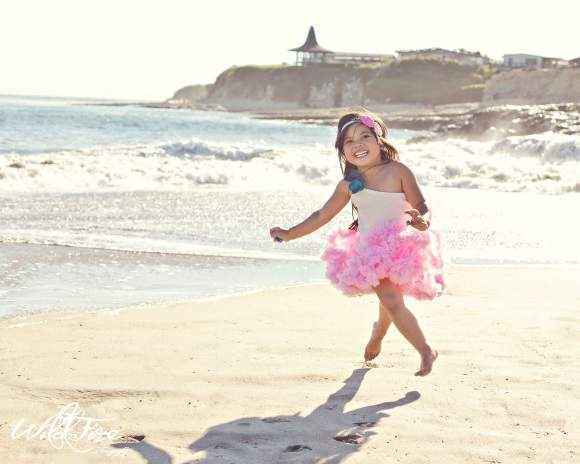 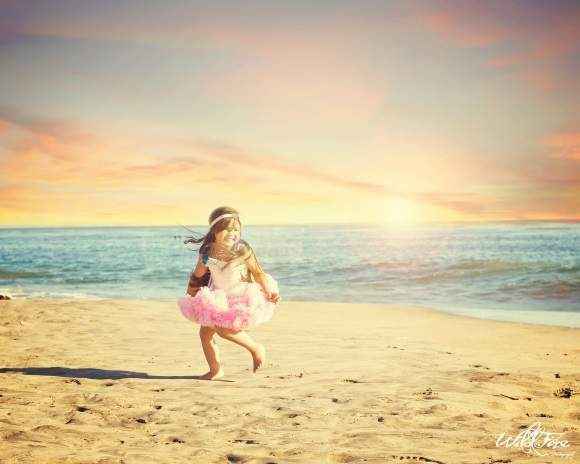 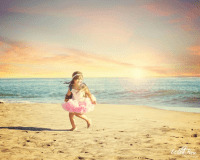 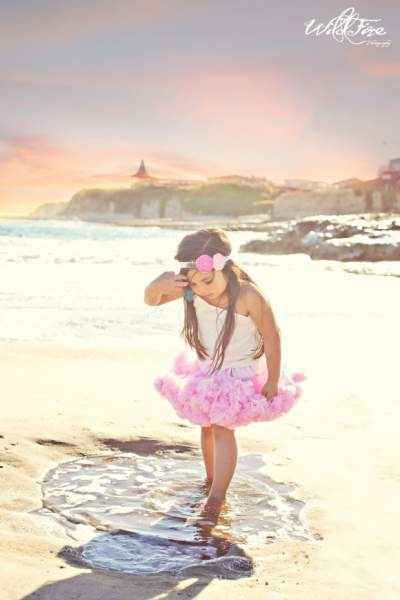 This pink pettiskirt makes an elegant girl's professional photography prop or gift!